the uterus in the pelvic/abdominal cavity, resulting in inflammation. It affects 1 in 10 women. 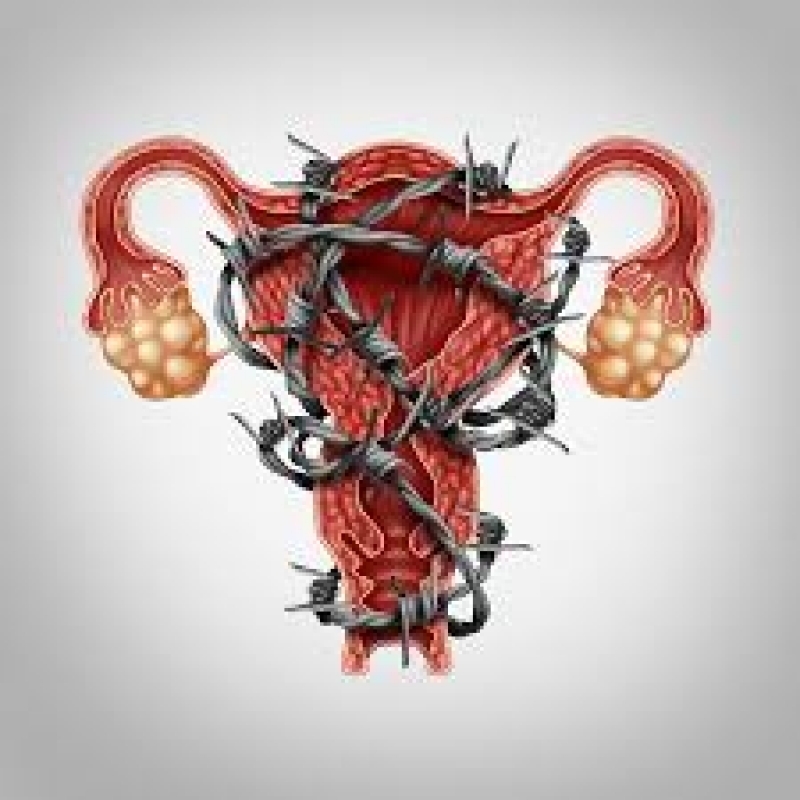 Women with endometriosis may have pain, pelvic mass, subfertility, or asymptomatic (have no symptoms). Endometriosis & the pelvic pain can have a significant impact on a woman’s quality of life, regardless of her age and desire for childbearing. Home life – responsibilities & abilities at home & social network. Work life – missed days due to pain & desire to remain in bed during the menstrual cycle. Relationship with spouse or partner. About 1/3 to ½ of women dealing with endometriosis will face difficulty getting pregnant. However since the condition can worsen with time, doctors generally don’t discourage women to try because it is still possible. No imaging is sensitive to diagnosis endometriosis. But transvaginal ultrasound and MRI may detect endometriomas (cysts of endometriosis on ovaries). Definitive diagnosis is made with surgery, and tissue biopsy. However, treatment can begin without surgery diagnosis. Treatment options depend on individual needs and circumstances, and may include medical and/or surgical options. For more information on current medical & surgical treatment options, click here (http://www.endometriosisclinic.ca/endometriosis/#treatments). How can a pelvic floor physiotherapist help? Assess the muscles of the pelvic floor for trigger points (taut bands) and overall function, pain sources, bladder/bowel control, etc. Help treat the ‘endo’ belly (bloating and belly ache). Education on the disease, management, and empowerment. Personalized home exercise program. This may include breathing, muscle release, muscle strengthening/training exercises. If you have been diagnosed, or know someone who has, do not manage this alone! Remember 1 in 10 women have endometriosis, with varying presentations and issues. Talking about things and hearing other views is an integral part of the management process. Here are links to national and local support groups. Nnoaham, KE, et al. (2011) Impact of endometriosis on quality of life and work productivity: a multicenter study across ten countries. Fertil Steril. Aug; 96(2); p366-373. Accessed: https://www.ncbi.nlm.nih.gov/pubmed/21718982. Endometriosis Clinic at McMaster University (2018). http://www.endometriosisclinic.ca, accessed September 6, 2018. The Endometriosis Network Canada (2018). https://endometriosisnetwork.com, accessed September 5, 2018.